While the New York Rangers are keeping the lights on at Madison Square Garden with their unlikely appearance in the Stanley Cup Finals, Samsung is borrowing the Garden (as it is known in the Big Apple) for a June 12th event titled the Samsung Galaxy Premiere. What we expect to see is the introduction of a pair of tablets. The Samsung Galaxy Tab S should be unveiled at the fabled arena. Expected to be available with two different AMOLED screen sizes (8.4 inches and 10.5 inches), the slates will feature resolution of 2560 x 1600. Samsung is stuffing these tablets with the octa-core Samsung Exynos 5420 CPU alongside the Mali-T628 GPU. 3GB of RAM is inside along with 32GB of native storage. Back and front-facing cameras weigh in at 8MP and 2.1MP respectively. With Android 4.4.2 pre-installed, the tablets include Ultra Power Saving Mode to extend battery life. Another feature allows you to take phone calls from a connected phone, using the tablet. 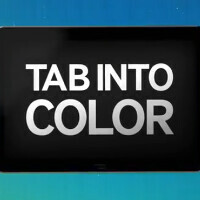 Meanwhile, Samsung has produced a teaser for the event, which also has a "Tab Into Color" theme. That leads us to believe that the new tablets will be available in a variety of colors. Will Samsung take this opportunity to take the wrappings off of the Samsung Galaxy F, the name rumored to be given to the "premium" version of the Samsung Galaxy S5? Most likely not, since the latest speculation has this 1440 x 2560 screened version of Samsung's flagship phone, coming to market in September at the same time as the Apple iPhone 6. He didn't say world's most expensive tablet he said world's best. Can't most expensive tablet also be the best? what about the galaxy tab 7.7? No, cuz it's just another Android tablet from Samesung. If it's just another tablet from samsung.... Why do even care do open the article and comment on it??? Feeling insecure huh?? I have exactly the same question for you, why are you coming to our articles. stop making tablet becoz tablet have no use and feature . pc and laptop or even i pad is good . The biggest difference between PC and tablet is that you can easily upgrade your pc's hardware. I meant LAPTOP not tablet......sorry. ITT: Samsung teases -even more- tablets. All their high-end tablets from Q4 2013, up until now just seem like the same thing, rehashed under a different moniker or display size. It's getting very redundant now. The only differentiating thing at this point for this tablet is the display technology. It's not just Samsung, it's most other Android OEMs that do the tablet game. The only tablet series where I see distinction from year to year so far have been the Amazon Kindle and Google Nexus 7 line ups. That's only because they aren't bombarding the market with several of them each year. I'm sad it doesn't have the aluminium back of the Galaxy tab 7.7 (to this day still Samsung's best tablet) but the screen will probably sell me. I just hope the battery life is up to scratch. My tab 7.7 can still do over 11h screen on time and it's like 3 years old now.